2010 April » Embroidery Talk Has Moved! 9:45 a.m. We’re in the booth, doing last minute straightening and organizing. Always finding ways to display our products better. Looking forward to a great day. 10:03 a.m. Have to put in a plug for the staff and management at DAX. They’ve been nothing but awesome. Problems are handled quickly, check in was easy, and they put on a nice breakfast spread. If you’re an exhibitor, this is a great show. 10:22 a.m. Doors have opened. Already starting to see people. So fun to watch Tom Paquette in action. He’s a great representative for EnMart, and so knowledgeable about our products. 10:45 a.m. It’s so fun to see people getting excited over our colors. 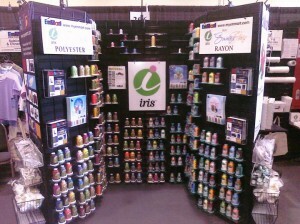 I’ve actually seen people walking by the booth be stopped and transfixed by the thread display. 11:40 a.m. I love seeing people getting so excited by the products we offer. It’s so great to be able to fill a need that someone has at a price that is less than what they expected to pay. 12:00 p.m. Just had someone stop by the booth who was just starting out. We gave her a thread sample and I thought she was going to burst into tears. She smiled one of the biggest smiles I’ve ever seen. 12:54 p.m. Lady just stopped by the booth and asked me a bunch of questions that I answered. When she left she said “It was worth coming to the show just to be able to stop by this booth. ” How awesome is that? 1:48 p.m. So much fun introducing people to EnMart. More and more people know who we are, but you do run into someone every once in a while who isn’t familiar with the company. They’re so happy to find out we’re in the Midwest. 3:20 p.m. Top two questions: “Does your thread run without a lot of thread breaks?” and “Do you have a metallic thread that runs easily? I hate metallic thread!” So glad to be able to answer yes to both. 4:08 p.m. You know you’re company is doing something right when customers hug you and tell you they came to the show specifically to see you. I love it. 4:54 p.m. Day one is winding down. We had a good first day. Saw lots of interested people and shared a lot of good information. Can’t wait to see what tomorrow brings. For those who are unfamiliar with this series, I try to do a round-up on Friday of blog posts I’ve found helpful during the past week. Mostly I stick with the blogs on our blogroll. If you have a blog you would like us to consider including on our blogroll, you can always leave a comment here, or e-mail me at kristine dot shreve at myenmart dot com. First up, we have a great project called One Million Shirts for Africa, which I found out about through the Groupe Stahl blog. There are people in many parts of the world who need a great number of things, and one of the things they need is clothing. The One Million Shirts project is collected clean, gently used t-shirts to send to people who are in need. It’s a great cause and a terrific way to give concrete help. I’m thinking I have a few t-shirts I could spare. There are many companies that I have affection for, but I’m really starting to enjoy Odd Guy Art. Their blog is fun and it looks like there new web site, which goes live soon, will be fun as well. Who wouldn’t love a company with the slogan “where art and wit meet cotton”? If you haven’t stopped by their blog yet, please go take a look. My fellow Stitches blogger, Erich, has a great post about procrastination and how to overcome it, on the Stitches web site. I would bet this is a problem that plagues almost everyone, and Erich has some great tips for overcoming procrastination and getting things done. This may not be all that relevant for most of us this time of year, but the snow and cold will be back before we know it. If you’re looking to cash in one some Winter apparel dollars, you may want to check out this tutorial on how to embroider gloves. This is from the Secrets of Embroidery Blog. A new blog that has just been added to the blogroll is The Embroidery Coach blog. There are a lot of great tips and ideas here, including some information on how to find a good digitizer. If you run an embroidery business, this blog is a great resource. Finally, before I close today, I want to ask a question. I would love to pump up the blogroll on the SubliStuff blog, but I’m having trouble finding independent blogs about sublimation. If anyone has a favorite sublimation blog, please share the link with us. Thanks. When you place an order with EnMart, you’ll see the statement quoted above on your final order page. We also mention the fact that we charge sales tax in our policies. The information on how to legally avoid being charged sales tax is included in those policies as well. Although we provide this information, we still often get questions about why we charge sales tax at all, how to avoid paying sales tax, and why we charge sales tax in the states where we charge it. Today I wanted to create a sort of EnMart Sales Tax FAQ, which will hopefully answer many of the questions people may have about sales tax and EnMart. We are required by law to charge sales tax on orders from those states where we have a physical presence. EnMart’s parent company has facilities in Michigan, New Jersey, Nevada, California, Illinois and Georgia. EnMart charges sales tax in all states where our parent company has a presence. Sales tax rules vary from state to state. Many states offer an option to resellers of providing a resale or sales tax exemption certificate to the companies from which they purchase goods. Once the company making the sale has the certificate on file, they can exempt the purchasing company from sales taxes. EnMart provides links to the relevant sales tax forms on our Policies page. Q4: I’ve already completed the relevant exemption form for my state. Why is EnMart still charging me sales tax? EnMart must have the relevant form on file in our offices prior to exempting any customer from sales tax. Forms can be faxed to us at 888-946-7583 or e-mailed to info at myenmart dot com. Please note: it is not enough to tell us you have tax exempt status. We must have the form on file in our offices before we can set a customer account to tax exempt status. No. Once the form has been provided, the status of your account will be set to tax exempt. Any orders you place from then on will not be charged sales tax. EnMart is proud to announce that we have added colored metallic thread to our metallic thread inventory. Available in 13 brilliant colors, this thread will add sparkle, shine and color to your embroidery designs. EnMart Colored Metallics offer the same high quality available from our gold and silver metallic thread. These threads have a nylon core, use rice paper for better bonding and stability, and are undercoated with a silver alloy film. They are designed to stitch at 1000 stitches per minute. Some people will tell you that metallic thread can be problematic when it comes to embroidery, and it is certainly possible that some brands of metallic thread can cause problems. Obviously, we can’t speak for other brands, all we can testify about is our experiences with EnMart metallic threads. 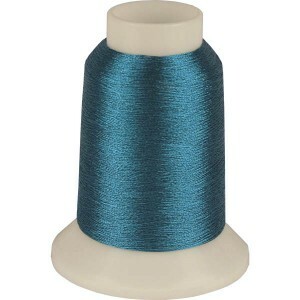 We have seen, time after time, our metallic thread turn people who loathed metallic thread into people who loved sewing with our metallic thread. 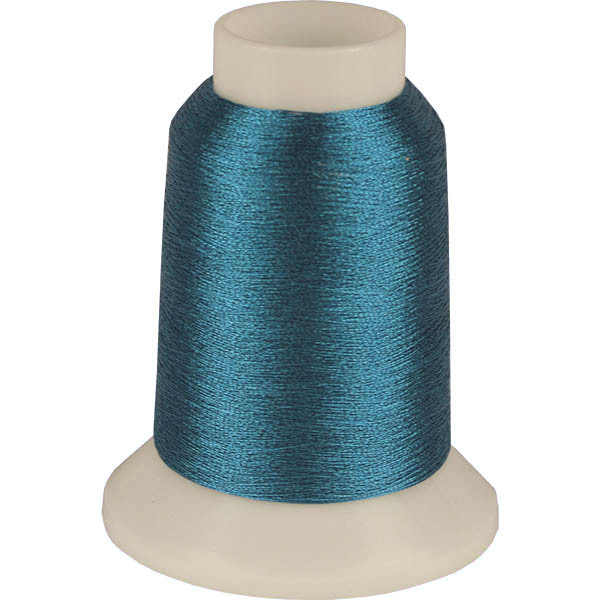 If you’ve had problems with metallic thread in the past, give our metallic a try. Odds are you’ll discover the problem wasn’t metallic thread in general, just the particular thread you’d tried in the past. Slow your machine speed down a bit – Metallic thread is a bit more fragile and may have more issues when the machine is running at higher speeds. First up this week, I love this post by Michelle Bell about guerrilla marketing and the history of the Google doodle. It just goes to show that marketing doesn’t have to be big or showy or expensive to be effective. There are things any business can do to get the word out that don’t take a lot of time or money. Next up, a great post on how to stabilize embroidery designs from the Common Threads blog. I’m working on a backing guide for EnMart, so I love to see what other people think is important when it comes to backing. 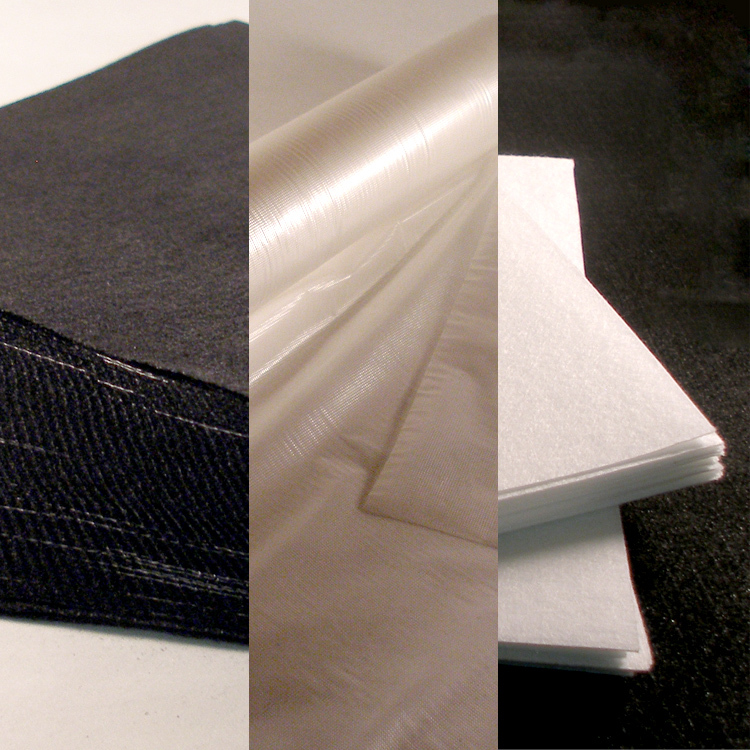 This post offers a good, comprehensive look at the various types of backing available. At number three this week, a contest from the Fashion Incubator Blog. In the blog round-up on 3/26 I mentioned a iPhone app that could calculate fabric yardage. The Fashion Incubator blog is now giving that app away to one lucky person. For details on the contest, visit Kathleen’s blog. Coming in at number four this week, is the news that the National Network of Embroidery Professionals (NNEP) has improved their shipping program. The NNEP is a great organization that does a lot to help those who own and run embroidery businesses. They host three great trade shows and offer a lot of valuable services to embroiderers. EnMart is a Supplier member. If you are not currently a member of NNEP and you own an embroidery business, I encourage you to join. Number 5 (how appropriate) this week is a new feature on the GSSA blog, Friday FIVE. The Friday FIVE is similar to this post, except it deals with four items that correspond to the letters in the word five, and then one wildcard item to actually make five mentions. I think it’s a pretty cool idea. Finally, I couldn’t let the Blog Round-Up end without mentioning the 4/1 post on the Urban Threads blog. Unfortunately, the blog won’t let me single out individual posts, so just scroll down to the 4/1 post which features the adventures of a traveling stuffed bunny. It’s too cute and too funny. 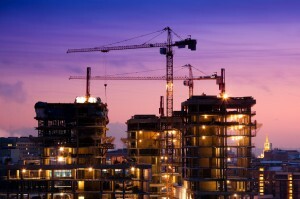 We have always believed that every business is worthy of our best, regardless of order size or business size. This has been the guiding philosophy of the Ensign Group since 1974, when a man named Ed Benjamin created a company called Ensign Emblem. Ed had been working in the emblem business for quite a while and he had noticed that there was a portion of the market that was being under served. The companies that ordered thousands of pieces at one time were having to beat salespeople away from their doors, but the smaller businesses were being largely ignored. Very few of Ensign Emblem’s competitors were interested in taking the time to work with the smaller businesses, but Ed and Ensign were. Working with those small businesses and helping them grow was one of the things that led Ensign from one plant to six plants and eventually from one company to two. From the day EnMart was formed, our guiding philosophy has been the idea that all businesses, regardless of business size or order size, deserve to be treated like they matter. That’s why we only have a $25 minimum order. This philosophy is why we’re one of the few companies selling sublimation blanks that doesn’t require case quantity orders. Our belief that size shouldn’t matter is also why our quantity price breaks for thread start at 12 cones in any mixture of colors. We offer our price breaks and specials to everyone, not just to those who order hundreds or thousands of dollars of product at one time. I know, for a lot of you, this may sound like the same song, different verse. Telling small businesses that they’ll be treated like big businesses is a common marketing ploy and, if that were our game, we certainly wouldn’t be the first to try it. What sets EnMart apart is the fact that we know the value of working with small business owners, and we’ve experienced how fast small businesses can grow, particularly if they have the right supplier partners. We also firmly believe that every business and every business owner deserves the same respect and attention regardless of the final total on their order sheet. The next step is up to you. If you feel your current supplier isn’t offering you enough support, give EnMart a try. If handling fees and processing fees are making your orders more costly than they need to be, place an order with us. 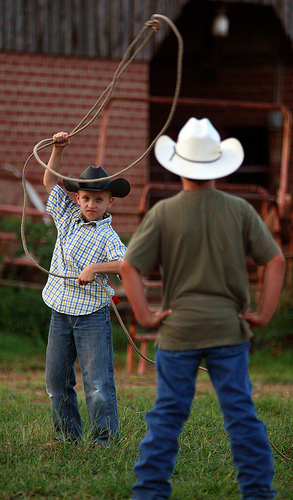 Actions always speak louder than words, so put us to the test and see how we do. I’m confident that, if you give us a try, you’ll find that EnMart gives your business the respect and attention it deserves, regardless of the size of the business or the size of your order. That is, after all, the foundation on which we’re built.